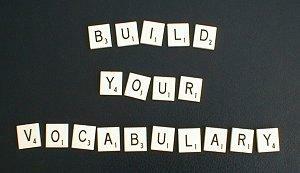 Build your vocabulary with board games! Learning should be fun, and using the games Scrabble, Password, and Pictionary as vocabulary tools can make learning new words and definitions an exciting activity rather than an onerous chore. Because of verb tenses, slang, foreign words, plurals, and terms no longer in use, it is difficult to count the number of words in the English language, but the Oxford Dictionary estimates the language has from 500,000 to 750,000 words - quite a vocabulary for students to master. Using educational board games as learning tools, however, can disguise vocabulary lists, definitions, and etymology by adding challenges, team spirit, and winner's circles to the task of mastering new words. While games are not a substitute for traditional learning methods (studying definitions, using the words in a sentence, spelling lists, etc. ), they can be a fun review lesson or another way to help students master new words in a unique way that may reach learners who have difficulty with traditional techniques. To keep learning games effective, teachers and parents should remember that it is, first and foremost, a game, and therefore should be fun and relaxing rather than rigorous and stressful. Add some easier words into the list, offer prizes or treats for the winners, and let players be creative with their definitions and game play. By having fun with the game, the players won't even realize they've been learning until long after the final score is tallied. Scrabble, Password, and Pictionary are exceptional tools for vocabulary lessons because each of these games relies heavily on words, definitions, and word associations for strategic play. Individuals interested in winning the game have no choice but to expand their vocabulary while they challenge their opponents. While each of these games is suitable for building vocabulary skills, each one approaches literacy techniques in a different fashion. Use a dictionary for accuracy. Scrabble: This classic crossword pattern game forces players to rearrange their chosen letters to find new words that can connect with letters of already played words. Not only do players have to have an extensive vocabulary in order to play Scrabble, but they need to be able to create words using the given letter tiles that will fit on the game board. To build a vocabulary even further, game players can consult a dictionary for unique and unusual words, though they must be prepared to define the word and prove its legitimacy for the game. Password: This word association game inspires creativity as players race to guess the secret word based on a series of one-word clues. Players need to intimately understand the secret word in order to effectively offer clues related to it. Pictionary: While this game relies primarily on drawing, players must be able to convey the meaning of a word without using letters. This type of vocabulary game is very effective for visual learners or individuals with greater artistic ability who will enjoy turning complex vocabulary words into detailed pictures. While the basic games do provide some vocabulary building tools, parents and teachers can add challenges to each game to ensure the right vocabulary skills are stressed. Scrabble: To make the game more challenging, require players to use a minimum number of letters when adding their new words to the game board. Password: Word associations are more challenging when the most obvious related words are not permitted in game play. Pictionary: Requiring players to draw a series of related words instead of the word itself will focus attention on word relationships and definitions rather than guessing. Other ways to make these games more challenging as educational tools include adding time limits, creating smaller teams, requiring individual play, or adding other related tasks, such as when a player adds a word in Scrabble, they must use it properly in a sentence for an extra point. The literacy aspects of using the games Scrabble, Password, and Pictionary as vocabulary tools cannot be stressed enough, but each game also incorporates other vital educational skills as well. Scrabble: Players must be able to spell correctly to play Scrabble, and problem solving skills can help them strategically place their words on the game board. Password: Creativity is a must for this board game, and a good vocabulary of similar words is helpful for the best players. Pictionary: Drawing vocabulary words can also sharpen artistic skills. Each of these games has unique playing requirements and strategies that can help students learn new words and build their vocabulary in a fun, exciting way. For the best results when using games in an educational way, choose a variety of games to play to reinforce words in multiple ways. Using the games Scrabble, Password, and Pictionary as vocabulary tools is a great way for parents and teachers to reinforce literacy lessons in a fun yet challenging way. Before they know it, players will be well on their way to mastering the half million words out there to learn.